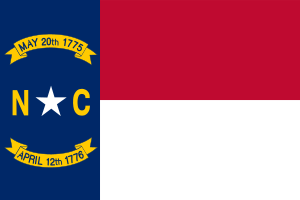 North Carolina believes in its paralegal force; it ranks fifth in the nation for employing over 10,000 legal assistants according to the Bureau of Labor Statistics, 2011. The majority of those are working in the Winston-Salem and Raleigh areas while the less metropolitan regions also boast a high concentration. As with so many other states, there are no set rules for educational requirements -anyone can become a paralegal as long as that is their official job title. No one authority governs the field, but the number of paralegals is so vast in North Carolina that the North Carolina State Bar, or NCSB, drew up a plan for paralegal certification in 2004 that was subsequently adopted by the State Supreme Court. Again, like most other states in the Union, this certificate is offered in exam format and is voluntary, but passed it grants the paralegal title of Paralegal Certified by the North Carolina State Bar Board of Paralegal Certification, North Carolina Certified Paralegal, or North Carolina State Bar Certified Paralegal. This is a state certificate, different from the national certificate exams, and sponsored by the NCSB. The one rule that must be obeyed is what a paralegal is defined to not be able to do: they cannot misrepresent themselves as lawyers, charge for time as a lawyer, offer legal advice, or represent a client in the courtroom. A paralegal is under the direct supervision of the attorney whom they assist and that attorney is ultimately responsible for the professional conduct of the paralegal and also for their instruction in ethics and confidentiality. Otherwise, they are capable of executing almost everything once reserved for an attorney. The NCSB would prefer all paralegals In North Carolina to have a minimum level of education, that of Associate’s degree, but there is, as yet, no required education. A paralegal can be trained on the job if the opportunity arises, but generally employers will set the bar and, the field being as competitive as it is, choose to hire those with a proven amount of competency in the profession already. Not only can an Associate in Arts degree (AA) be desirable, but a Bachelor of Art’s degree (BA), Bachelor of Science degree (BS), Post-Baccalaureate certification, Master’s degree, or a Juris Doctorate would be in high demand. A formal education for an entry-level legal assistant all but guarantees higher starting pay, better benefits and more room for advancement. Many potential employers will choose a paralegal whose competence and knowledge is assured rather than training someone as they go. Degrees offer certification, while the aforementioned Certified Paralegal of North Carolina is something different. To become Certified in this state, one can take and pass the NCCP (North Carolina Certified Paralegal) exam or there are four exams offered on a national level sponsored by three national associations, all seeking to further establish and enhance the standing of paralegals nation-wide. They are the PACE and the PCC, both sponsored by the National Federation of Paralegal Associations (NFPA); the CLA/CP sponsored by the National Association of Legal Assistants (NALA); and the PP sponsored by the Association for Legal Professionals (NALS). The educational or experience requirements vary between exams, so look over the chart to see which applies best to you. The cost of each exam also varies. Carteret Community College in Morehead City offers a 2-year AS degree in Paralegal Technology, focusing on substantive legal work and procedural knowledge. Internships are mandatory. Central Piedmont Community Collegein Charlotte offers an Associate of Applied Science degree (AAS) or Post-Baccalaureate Certification. The AAS last 2 years full-time and covers liberal basics, and the Post-Bacc lasts about one year as basic educational classes have already been fulfilled. Internships are elective. Fayetteville Technical Community College located in Fayetteville extends a 2-year AS in Paralegal Technology. Meredith College in Raleigh is a private institute that has a Post-Bacc degree/certification for those who have already gained their Bachelor’s degree in any discipline. It can be completed in 2 evening semesters or one intensive semester. Internships are elective. Methodist University in Fayetteville is a private 4-year university offering a minor in legal studies. Pitt Community College located in Greenville is a public, 2-year college offering an AAS in Paralegal Technology. Internships are elective. It’s five semesters for full-time day students or six semesters for full-time evening students. 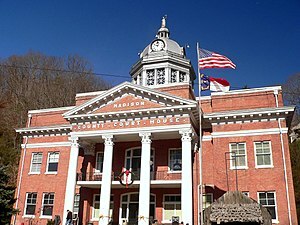 South College in Asheville is a proprietary school offering both an AAS (2 year) degree in Paralegal Studies or a 4-year BS in the Legal Studies. Internships are mandatory. Law firms are big employers of paralegals, as may be expected, though they are not the only potential hirers. Government agencies, banks, immigration offices, divorce lawyers, corporations and even small business all employ paralegals. The easiest to find and contact, however, are the law firms. Below you will find a truncated list of the largest in the state, with many being international.